This year, some of the catechism teachers surprised us with an Ecuadorian dance to the music of a Christmas carol from Ecuador called “A Child in the Arms of a Young Maiden”. We all had a nice afternoon; we enjoyed singing to the child that was going to be born soon in Bethlehem and who came to bring salvation into our lives. 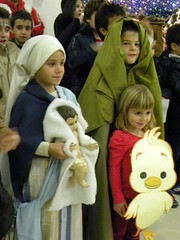 Each catechism group acted out a Christmas carol, accompanied by Our Lady, Saint Joseph and the Child Jesus, who attentively and enthusiastically watched the whole show. 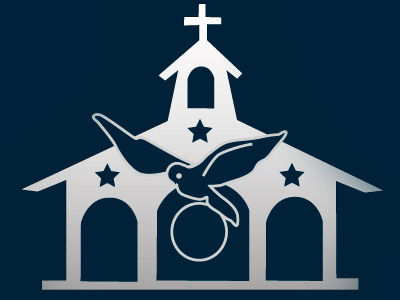 At the end of the festival, each catechism teacher handed out a small gift to the kids in their class and a Christmas card for their parents. Everyone returned home very happy. 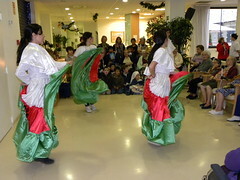 Yet the celebration did not end there, because the week after, we held the same festival, but this time in a different scene: at “The Camellias” nursing home, where we were able to brighten the afternoon of the elderly there, who had been awaiting us with expectation. It was a very satisfying experience and gave us all the chance to forget ourselves a little while and think about others instead. 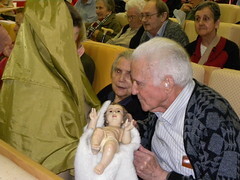 In these past few days, the community here also went to visit the sick of our parish in their homes and bring them an image of the Baby Jesus. It was a great joy to be able to bring a little bit of Christmas cheer to the sick and to get them to genuinely smile. Merry Christmas and a Happy New Year to one and all!